Automotive smartphone technologies "provide a gateway for potential threats,” lawmakers wrote. WASHINGTON -- U.S. lawmakers want to know how the auto industry plans to tackle cybersecurity threats as new vehicles become increasingly connected to the Internet. A bipartisan group of leaders from the U.S. House of Representatives’ Energy and Commerce committee sent letters to the top executives of 17 automakers in the U.S. and the National Highway Traffic Safety Administration with questions seeking information about how cybersecurity issues are handled at each company and how potential vulnerabilities are evaluated, among other things. 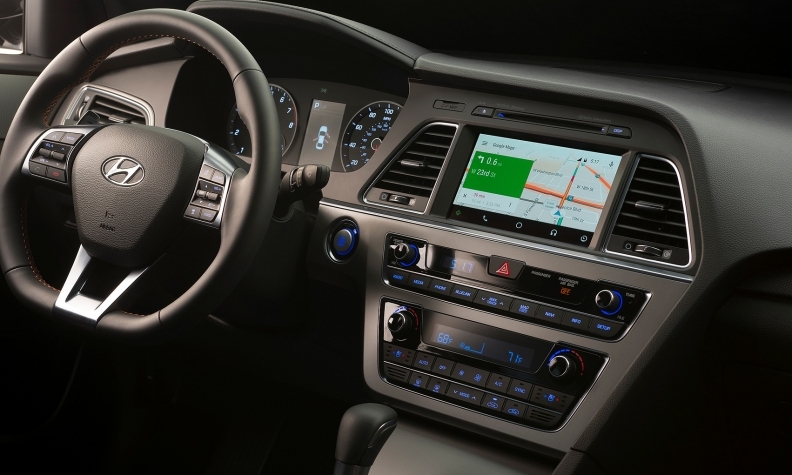 Several brands offer models with built-in wireless Internet connections, and many offer smartphone apps that allow owners to control some vehicle functions remotely. Meanwhile, automakers are developing autonomous-driving technologies and U.S. auto safety regulators are working on a rule that would require all new cars to have communications systems to automatically warn drivers of dangers on the road. The letters were addressed to the CEOs or top U.S. executives of General Motors, Ford, Fiat Chrysler, Honda, Toyota, Nissan, Hyundai, Kia, Subaru, Mercedes-Benz, Audi, Volkswagen, Porsche, Mitsubishi, Mazda, Volvo and Tesla. The companies, and NHTSA, were asked to respond by June 11. Concerns about the vulnerability of autos to cyberattacks come as automakers introduce high-tech vehicle features that connect vehicles to the Internet, smartphones and other vehicles at a rapid pace. Meanwhile, the potential for hackers to access vehicle data or take control of vehicle functions has gained increasing attention on Capitol Hill. U.S. Sens. Edward Markey, D-Mass., and Richard Blumenthal, D-Conn., in February called for regulations requiring that all new cars have minimum data privacy and security protocols, and for vehicle stickers to include ratings evaluating each vehicle’s performance against those standards. That was in response to a report on automotive data security done by Markey’s office finding that vehicles with wireless connectivity were vulnerable to hackers, and that automakers have yet to create a standardized approach to protecting data collected by vehicle systems. But security of data and vehicle systems has been high on the industry’s agenda in Washington, D.C., as well. The Alliance of Automobile Manufactures and Global Automakers, the industry’s two main trade associations in Washington, D.C., spent months last year crafting a set of voluntary privacy principles to address concerns. Most automakers have agreed to adopt those principles.